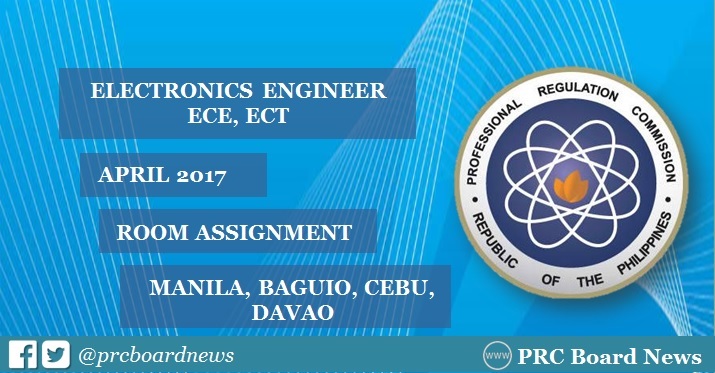 The Professional Regulation Commission (PRC) has released list of room assignment for April 2017 Electronics Engineer (ECE) and Electronics Technician (ECT) board exam. The first ECE board exam this year will be conducted by the Board of Electronics Engineering (BEE) on Sunday and Monday, April 2-3 (ECE) and Tuesday, April 4 (ECT) in the cities of Manila, Baguio, Cebu and Davao. 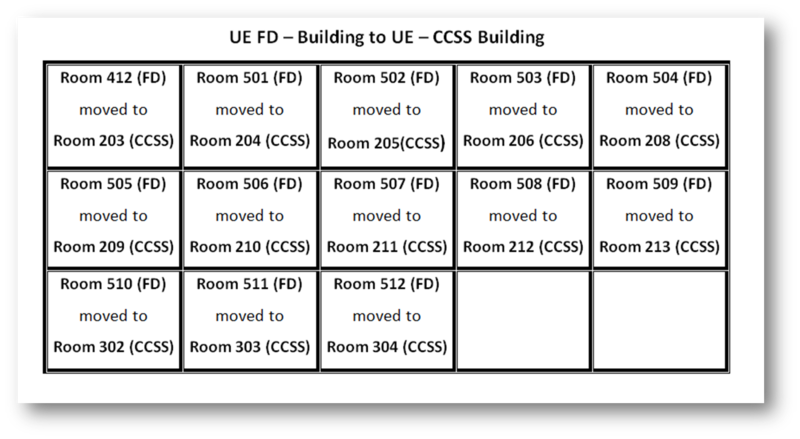 On March 20, PRC Baguio regional official posted complete list of room assignment with these important reminders to all takers: 1.) verify application number on the day of examination from room watchers/proctors and 2.) 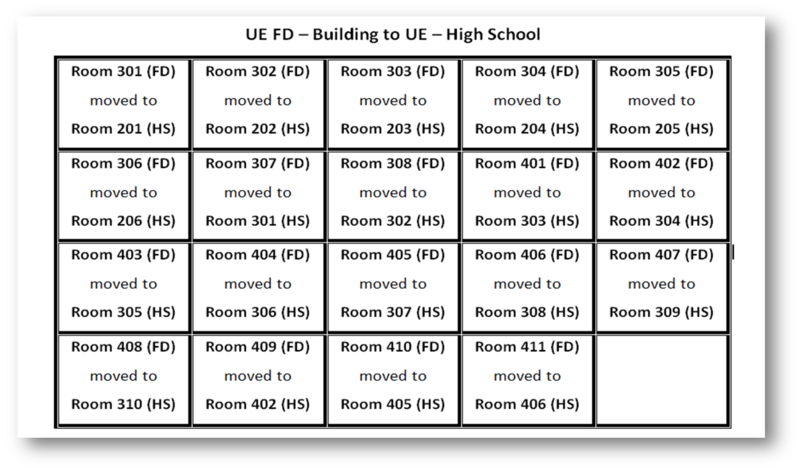 be punctual and report to your building/room assignment before 6:30 a.m. because late examiness will not be accepted. 1. Bring the following: Notice of Admission (NOA), Official Receipt, pencils no. 1 or 2, black ball pens, metered-stamped window mailing envelope, long brown and long plastic envelopes. 2. NOTE: CELLULAR PHONES AND OTHER ELECTRONIC GADGETS ARE STRICTLY PROHIBITED. The BEE who will administer the exam is composed of Engr. Alnar L. Detalla, Chairman, Engr. Enrico Claro R. Delmoro and Engr. Herminio J. Orbe, Members. The two-day examination for ECE board exam covers Mathematics (20%), Electronics Engineering (30%), General Engineering and Applied Sciences or GEAS (20%) and Electronics Systems and Technologies or EST (30%). For ECT, examinations cover technical subjects, laws and ethics. NOTE: Bookmark this site as we will also provide updates for the results of April 2017 ECE board exam. In the same period last year, results were released in 3 working days after the exam. PRC named 917 out of 2,482 passed the Electronics Engineer Licensure Examination and 985 out of 1,196 passed the Electronics Technician Licensure Examination. The second schedule of Electronics Engineer board exam this year is on October 21 and 22 (ECE) and October 23 (ECT). Opening of Online Processing is on July 25, 2017 while the deadline in filing is on September 25, 2017 for ECE.